Shelby Supercar Tuatara - The Fastest Car Today, We all know that Bugatti Veyron was known as the Fastest Car and also one of the most luxurious car in the world today, but this supercar concept by Shelby named Shelby Tuatara aims to beat the top speed records of Bugatti Veyron and they succeed surpassing bugatti veyron top speed records. 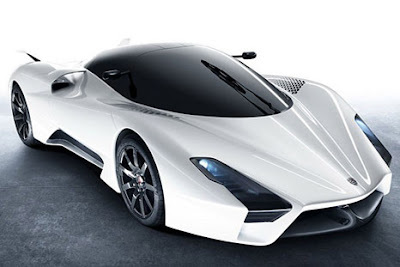 Shelby Supercar Tuatara succed to take over the Fastest Car records from Bugatti Veyron super sports car which has a top speed of 268 mph (431 km/h), This supercar from Shelby could reach 280 mph (450 km/h) It's a little bit faster than Bugatti Veyron. Traditionally, new speed records are achieved in small increments unless your name is Bugatti. The McLaren F1 held the record at 386.4 km/h (240.1mph) for seven years, before it was marginally improved to 387.87 kmh (241.01 mph) by the Koennigsegg CCR. Then followed Bugatti's 408 km/h (254 mph), the Ultimate Aero TT's 412.68 km/h (256.18 mph) and then the quantum leap by the Bugatti Veyron Super Sport to 431km/h (268 mph). Check out about the List of the World's Fastest Car here. Shelby Supercar Tuatara was designed by Jason Castriota, The body of this SSC Tuatara is made of aluminum and carbon fiber for almost of the car body including Cabin, Chassis, Sub Frames and even for the wheels. 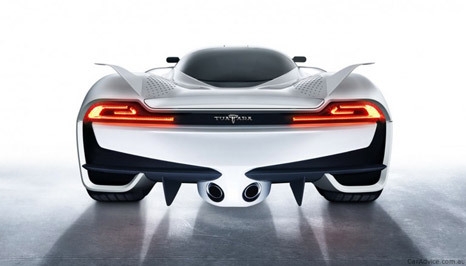 While the engine uses Twin Turbo V8 engine that could produce 1350 horsepower. It has seven-speed gearbox which will come with either a conventional H-pattern stick shift or F1-style sequential paddle shifters tucked in behind the steering wheel. Well There's no information about the price of this SSC Tuatara. Here's more pictures and Video of this Shelby Supercar Tuatara - The Fastest Car Today.